What is ABT? ABT is an acronym for “Always Be Tying.” If there is one thing I do more than fish, it’s tying flies. And, I attribute a lot of my success to keeping my patterns fresh. I’m constantly tying new patterns and improving time-tested winners. The possibilities are as endless as the imagination. I get most of my inspiration when I’m standing in the middle of the river and when I’m thinking about what I’m going to tie next while driving home. It’s a never-ending cycle of fish, tie, fish, tie, fish, tie. And, I love it. I’m sure if asked, most, if not all, the top fishermen on the river are in the same boat. I know for a fact that the best guys I know are always tying. 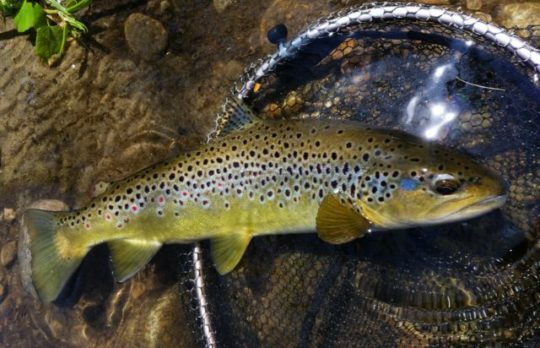 We all have our go-to, time-tested patterns that we can fall back on, but we are always bringing at least a few experimental patterns to the river. If you want to get started, I would recommend modifying the proven winners. Take a Frenchie, and you can tie it a thousand different ways. You can tie it on a standard, scud or jig hook. You can tie any different color bead they have available in tungsten or brass. You can tie the tails with PT or CDL. You can use standard PT, golden PT, or dyed PT for the body. You can use wire, synthetic quill or a combination of material for the rib. You can use too many ice dub colors for the thorax, not to mention a favorite Globrite or other threads/flosses for the collar. 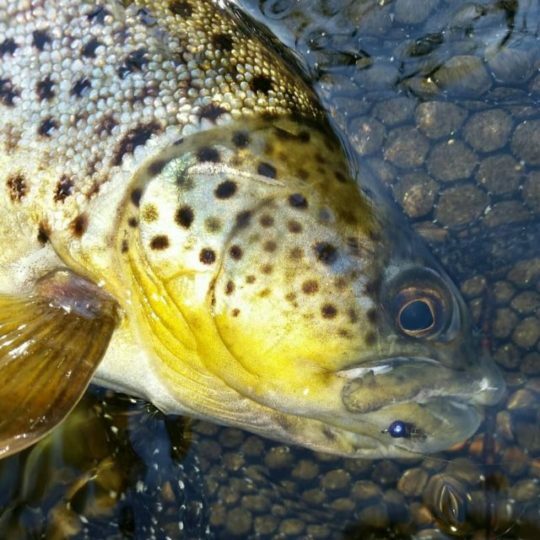 This is just one pattern of thousands you can tweak to make it your own, keep it fresh, and show the trout something new that just might be the difference between a good day and a great day. The other bit of advice is to collaborate with other tiers. This is a little tricky and can take some time, as most tiers are very protective and secretive about their patterns. I’ve been very fortunate to have a circle of close friends with whom I collaborate on patterns. This relationship has got to be a two-way street. If you want to collaborate with one or many other tiers, you had better be putting in your time and bringing something to the table because, if they are sharing winners with you, they’re putting in the time. If it becomes a one-way street, don’t expect those relationships to last. I could easily post a thousand pictures of experimental patterns I’ve tied, but I’ll keep it recent. Here are a few current experimental patterns that are now in the proven winner category. I could hand these patterns to the guys I collaborate with and feel confident they’ll produce. In turn, they will share their proven winners with me. 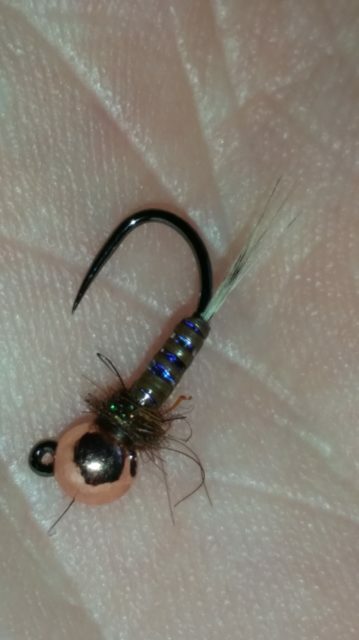 This first set of pics is of an experimental rainbow bead hares ear nymph I tied this year. I don’t name patterns often but this is called “Ebola.” It’s called that because it’s DEADLY everywhere. This next pattern should have a name, but, again, I don’t name my patterns often. It is just stupid-effective. 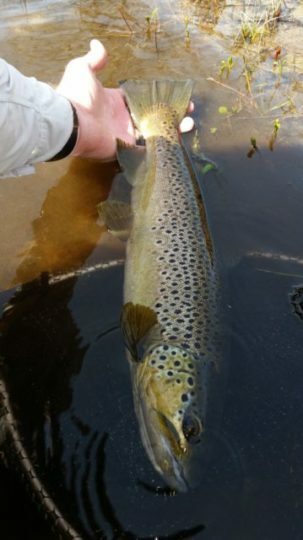 Stunner wild brown who fell for a “stupid-effective” nymph. 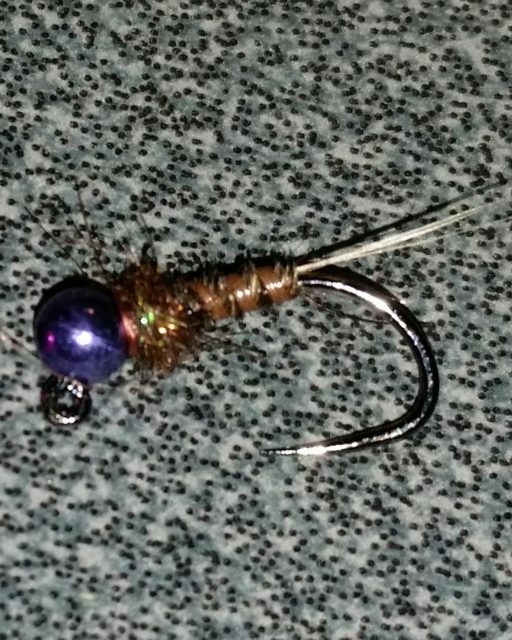 Have fun with it, and make sure to spend time at the vise working on experimental patterns. Watch your catch rate increase. 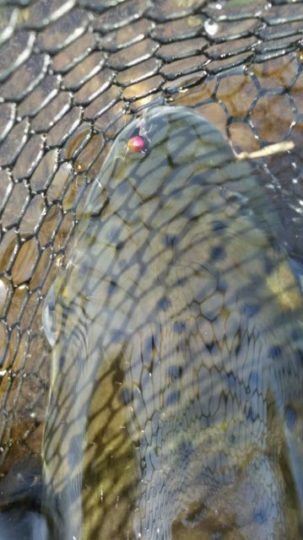 Thanks for the article and sharing pictures of the patterns. Would you mind sharing the materials used in the body and ribbing of the ‘stupid-effective’ nymph? thank you.